Why our legal content writing services? Legal content writing is one of the most complex types of content. It is a demanding task to produce factually accurate and compelling content for a person with limited knowledge of the law. Along with special requirements specific to the legal profession, it can be a difficult balance to master. Trust a fellow attorney with your legal content writing needs, especially one well-versed in SEO and content marketing. What is legal content writing? Legal content writing is a noticeable step up from legal copywriting. The message can be tiered, requires basic research, or simply deals with more in-depth or lengthy writing. It can be a single production or an ongoing series of legal content generation, and generally has more than one subject or topic. Ultimately, the reader is informed or educated. The goal is to make them eager to meet or do business with you. Presents your experience, education or expertise in a professional manner. Makes a powerful statement that convinces clients you are the right choice. Reinforce existing client relations for repeat business or referrals. When do I need legal content writing services? All the time, for everything – online & offline. Legal content writing is a wide net that covers the stratagem of written content for lawyers. It is used for all types of advertising, marketing and business development strategies. Perfect for a range of sources, mediums and reasons. Be there before, during and after the moment of truth when a client decides to hire you. Where will I find legal content writing services applied? Legal savvy content specific to your website that tells the world who you are and what you do. It persuades readers and the internet that you are the right choice. Informative pieces designed for a quick read about a topic or legal question. Provides useful information without actually giving or implying legal advice. Informs the public about a noteworthy mention, event, or any media related subject matter that you want to distribute across newsworthy channels. Specific email marketing content piece designed for a particular topic of interest or practice area that gives you the opportunity to impress already interested readers. Analyzes a legal scenario or problem, and objectively explains to a more educated audience possible outcomes and available options to choose from. Prepares questions and/or answers, content-specific dialogue, or any type of writing that is read or incorporated into another type of content, presentation or production. As with all legal marketing, it depends. Start with the basics before moving on to advanced content writing goals. 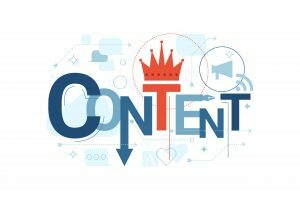 Website content is the most important type of legal content writing, otherwise online visitors will fail to be impressed when they land on your website and may move on. Legal website content writing should include multi-purpose web pages and overlapping strategies. Articles are great ways to drive business while showcasing your knowledge. Legal memoranda are ideal for savvy clients that possess a higher level of legal or business acumen. Scripts and interviews are the words behind rich media and visual content. Contact us to learn more about our custom legal content writing services.